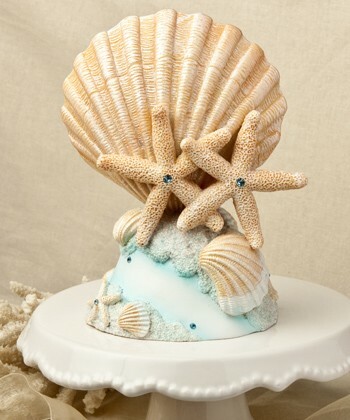 Top off your beach theme with these beautiful Life’s a Beach Collection cake topper/centrepieces. For a destination, beachside or beach themed wedding, here’s your chance to make your centrepieces and cake true wedding wonders. They’re centrepieces/cake toppers that are real showstoppers. And, with their realistic “Life’s a Beach” appeal you can use them to make beautiful cakes, tables - and memories - for years to come.